Having a strong password is increasingly important. Weak passwords can be "guessed" or "cracked" using free software available online, allowing unauthorized access that can result in identity crimes, extortion, or damage to reputation through the disclosure of sensitive or private information (yours and RIT's). Choosing a strong password and changing it regularly are two of the most important things you can do to protect yourself online. Follow the password standard and subscribe to our social media outlets for password tips and tricks! 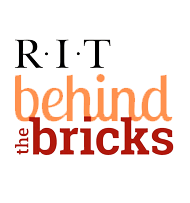 RIT uses a standardized signature to make authentic Institute communications easily recognizable. Uses of common signature elements by senders will help recipients detect counterfeit e-mails and phishing attempts. For more information, see the Signature Standard. Who do the requirements apply to? All creators of Message Center communications. E-mail messages sent from portable devices.